New for our society! First ever awards! New for our Society, the International Immunocompromised Host Society has awarded, for the first time, a Lifetime Achievement award, a Young Investigator award and the ICHS Society Citation award to three highly qualified ICHS members. The awards were presented during the closing ceremony of the 20th ICHS Symposium on Tuesday, 19 June, 2018. 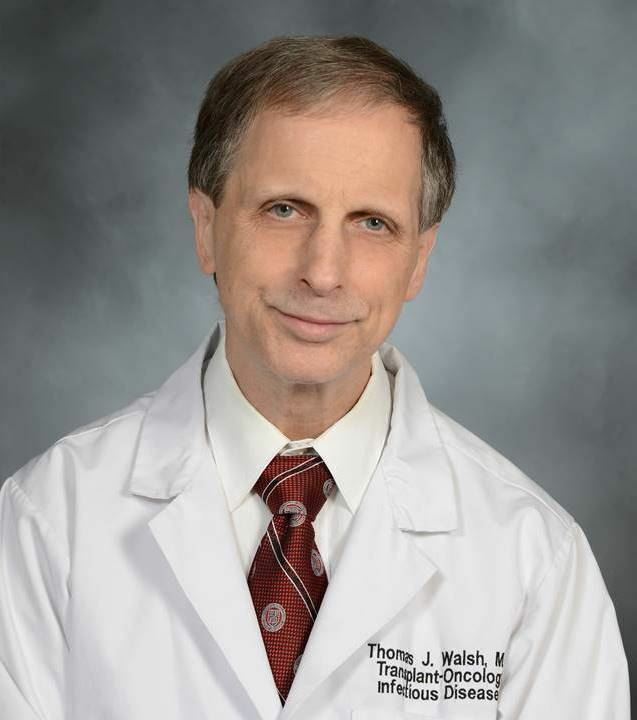 Dr. Thomas Walsh has dedicated his professional life to infectious diseases supportive care of children and adults with cancer, transplantation, and other immunodeficiencies. Widely recognized as one of the world’s preeminent mycologists, his internationally recognized translational research of invasive mycoses in immunocompromised hosts has revolutionized the field, his teaching and mentoring have created a generation of new scholars, his devoted patient care has directly saved the lives of hundreds immunocompromised children and adults with severe invasive fungal infections worldwide, and his loyal service to ICHS has admirably strengthened its mission over three decades. Following graduation with honors from Johns Hopkins University School of Medicine, Dr. Walsh pursued a course of 10 years of post-doctoral training. He then worked for nearly a quarter-century at the National Cancer Institute, where he became Chief of the Immunocompromised Host Section in the Pediatric Oncology Branch. He was subsequently recruited to become Founding Director of the new Transplantation-Oncology infectious Diseases Program of Cornell University Medical Center. During the past 30 years, Dr. Walsh has changed the face of antifungal chemotherapy in pediatric and adult cancer patients. Through more than 1,000 publications and 91 clinical protocols, Dr. Walsh and his colleagues have methodically investigated the pharmacology, experimental therapeutics, immunopharmacology, pharmacogenomics, metabolomics, and clinical activity of multiple classes of antifungal agents, as well as achieving major advances in cytokine augmentation of host-defenses, and molecular, biochemical and antigenic therapeutic monitoring of life-threatening mycoses. His exhaustive body of laboratory and clinical investigations has become a paradigm for translational research. He co-founded a Consortium that established an historically unprecedented accomplishment through 12 clinical trials of systematically studying the safety, tolerability, and pharmacokinetics of the entire class of systemic antifungal agents used in pediatric oncology and other pediatric immunedeficient patients. This formidable body of research has been accomplished in the setting where Dr. Walsh also has serves as an international resource for treatment of seriously ill children and adults with life-threatening mycoses. He has also been a mentor and supporter to more than 180 students, fellows, and junior faculty members throughout the United States and abroad; many are now full Professors of Pediatrics, Medicine, Microbiology, and/or Pharmacology. Dr Walsh also has provided outstanding leadership, innovation, and loyalty over his 32 years as a member of the International Immunocompromised Host Society (ICHS), in many capacities. ICHS is both delighted and honored to give the First ICHS Lifetime Achievement Award to Dr. Thomas Walsh, one of the eminent scholars in the treatment of infections in immunosuppressed children and adults. Dr Michail Lionakis was born in Chania, Greece on October 12, 1976. 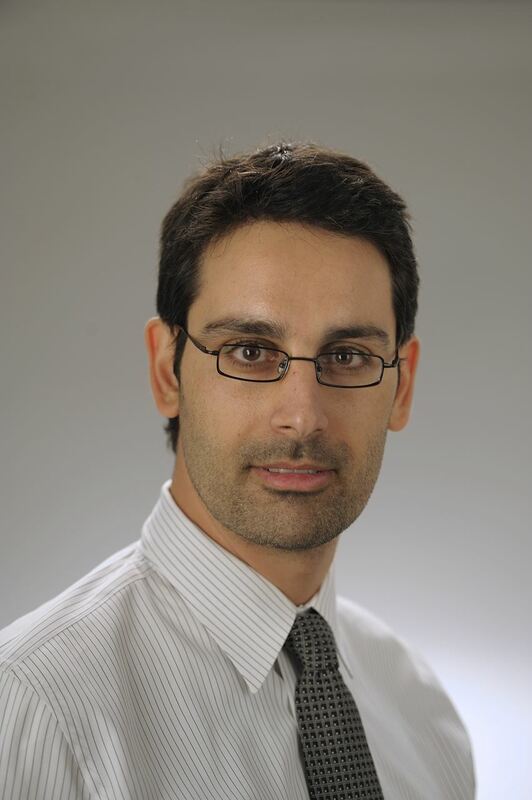 He received his MD from University of Crete, Greece in 2000 and relocated to the US to perform research training under the mentorship of Dimitrios Kontoyiannis at The University of Texas MD Anderson Cancer Center in 2002. At the lab of Dr. Kontoyiannis, Dr. Lionakis drove a variety of basic, translational and clinical research projects pertaining to the diagnosis, treatment and pathogenesis of opportunistic mycoses in humans and in mouse and Drosophila models of fungal disease. He then did his Internal Medicine Residency at Baylor College of Medicine (2004-2007) and his Infectious Diseases Fellowship in the National Institute of Allergy & Infectious Diseases (NIAID) of the National Institutes of Health (NIH). After that, he performed research training under the mentorship of Phil Murphy at NIAID, where he initiated basic immunological investigations on the role of chemoattractant receptors in host defense against invasive candidiasis in mice and humans. As recognition of his achievements as a physician-scientist at NIAID, he was elected Assistant Clinical Investigator in 2010 and Tenure-Track Investigator in 2012. He received early Tenure in 2017 and is now Chief of the Fungal Pathogenesis Section at the Laboratory of Clinical Immunology and Microbiology (LCIM) of the NIAID. Dr. Lionakis has been a pioneer in study of the cellular and molecular basis of mammalian antifungal immunity. His bench-to-bedside research program employs studies in clinically relevant mouse models of Candida and Aspergillus infections and in patient cohorts with inherited and acquired susceptibility to candidiasis and aspergillosis. His discoveries have significantly expanded our knowledge and understanding of the cellular and molecular mechanisms involved in host defense against mucosal and systemic fungal challenge. In this early phase of his career, he has over 100 peer-reviewed publications, book chapters and reviews. Dr. Lionakis is the recipient of several awards and honors that highlight the clinical and research work that he has performed. For example, he received the American College of Physicians (ACP) Walter J. McDonald Award for Early Career Physicians, the IDWeek Investigator Award from the IDSA, the ICAAC Program Committee Award for Outstanding Research in the Pathogenesis of Microbial Diseases from the American Society of Microbiology (ASM), and the Henry D. McIntosh Award for Outstanding Resident in Medicine from Baylor College of Medicine. ICHS is both delighted and honored to give the First ICHS Junior Investigator Award to Dr. Michail Lionakis. Dr Paul Quie was born in Dennison, MN on February 3, 1925. 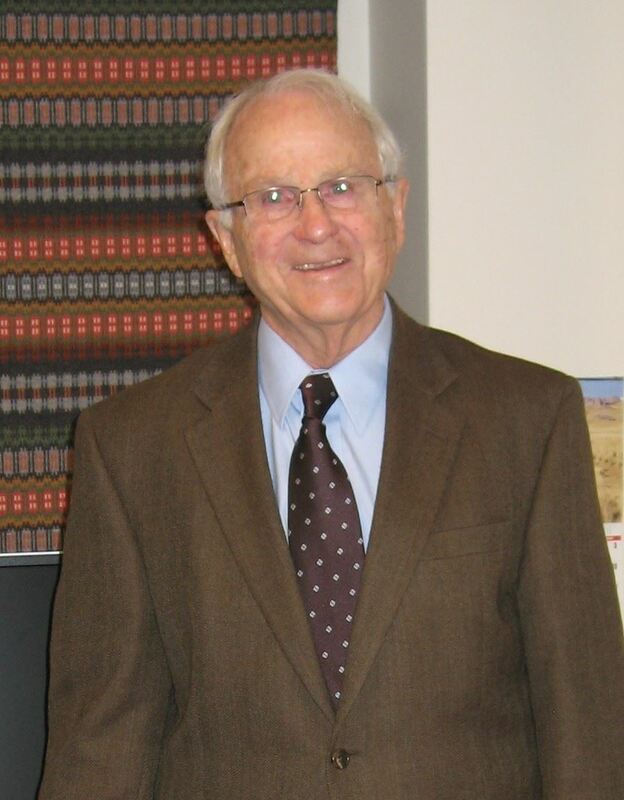 He received his BA from St. Olaf College in 1949 and his MD from Yale Medical School in 1953. He did his internship at Minneapolis General Hospital (1953-54) and his residency in Pediatrics at the University of Minnesota University Hospitals (1954).From 1955-57, he served as a medical officer in the US Navy. In 1957. He returned to the UMN as a research fellow and as Chief Resident in Pediatrics. He served on the faculty of the Department of Pediatrics from 1958-1999 and was Chief of Staff at the University Hospitals from 1979-1984. From 1962-64, he was a guest investigator at the Rockefeller Institute in the laboratory of James G. Hirsch. He became the first director of the Biomedical Ethics Center in 1985. Dr. Quie headed the Division of Pediatric Infectious Diseases for many years and from 1998 through 2014, Co-Directed with Dr. Phillip Peterson, the International Medical Education and Research Program of the Medical School. He is currently Regents’ Professor Emeritus of Pediatrics and Distinguished International Professor. Dr Quie was both a founding member and the first president of ICHS. He was a staunch supporter of the Society all through the years. Dr Quie has been a pioneer in neutrophil biology. His work has laid the groundwork for our current knowledge of the mechanisms involved in chronic granulomatous disease and other neutrophil dysfunction syndromes in children and adults. He was a first-class scientist, funded almost continuously by the NIH. He has over 500 peer-reviewed publications and 200 book chapters and reviews, and was the editor of 5 textbooks. His career as notable physician-scientist and leader has impacted and inspired numerous scholars in the field of pediatrics and infectious diseases. Dr Quie is the recipient of numerous awards and honors that exemplify the deep respect which he is held among his contemporaries. As an example, he received both the IDSA Bristol Award and the IDSA Maxwell Finland Award and served as President of the IDSA. He was also President of the American Pediatric Society and is a member of the National Academy of Sciences Institute of Medicine. He was awarded a University of Minnesota Regents’ Professorship in Pediatrics in 1991, the most prestigious professorship in University of Minnesota. ICHS is both delighted and honored to give the First ICHS Citation Award to Dr. Paul Quie, one of the early giants and pillars of our Society.